Rehabbing properties for the purpose of selling or renting them out can provide high financial rewards provided that you do your due diligence and know how to take calculated risks. Of course, in order to succeed, you’ll also need a team of professionals who possess in-depth knowledge of the real estate investing. Below is a step-by-step guide to rehabbing properties for profit. In real estate investing, you cannot spread yourself too thin. There are too many nitty-gritty details and time-consuming tasks that it becomes a sacrosanct rule to outsource and find the right professionals, many of which will only be hired per project. Your team may include an attorney who can make sure that your business is in compliance with local ordinances; an accountant who can keep track of your financial statements and taxes; a licensed general contractor who can oversee your projects; a realtor who can provide you industry knowledge and market data about the neighborhood of your property; an architect who can assess and ensure the structural integrity of the house; and handymen who can do simple jobs such as installing cabinets and painting. You may also need to hire a landscaper when a project involves outdoor spaces. It also makes sense to have an assistant if you are doing multiple flips simultaneously or you’re managing more than five projects a year. There are several business entities you can choose from: sole proprietor (not ideal because it does not protect your personal assets in the event of litigation or bankruptcy), LLC, or S Corporation. A good rule of thumb is to create a business set up that will limit your liability, protect your personal assets, and provide tax benefits. You will also need to secure business licenses and permits in your state and local municipality even if you decide to operate from home. The right properties will depend on your budget, goal, commitment, and schedule. Also, you have to consider their livability quotient–i.e., the quality of their neighborhood and their accessibility to hospitals, schools, shopping malls, office buildings, etc.–before making any purchase. Aside from the neighborhood and nearby amenities, you should also factor in the property’s condition. Avoid homes with major functional defects (e.g., you have to go through a bedroom to access the dining area) and structural and foundation issues, unless you’re willing to take on more ambitious projects and you have a full grasp of the risks such as bigger budgets and longer time for rehabbing properties. With the proliferation of different financing options that specifically cater to real estate investing, nowadays it is easier to get into this capital-intensive business. You can take advantage of government-backed loans that primarily cater to individual homebuyers. For instance, you can purchase investment properties through these financing options provided that you will live in one of the units (and the rest is rented out) or you will temporarily reside in them before you move out and sell them on the market. Other financing options that you might want to consider include hard money, commercial loan, conventional mortgage, bank financing, private money, partnership, small business credit card, home equity loan, and rehab loan. Each financing option has its pros and cons. For instance, most mortgage loans that come with low down payment (5 percent or less) entail high monthly payments and a private mortgage insurance, which is like applying for additional loan approval. Even the all-cash deal has its own caveats. While it may give you more power on the negotiation table (to haggle down the price), remember that it may put a dent on your cash flow and can even prevent you from enjoying mortgage interest tax deductions. Professional house-flippers know the most efficient rehabbing sequence that promotes efficiency and prevents accidents and damages. For instance, it makes sense to first tear everything out and store the materials and appliances in a garage or storage shed before proceeding with other tasks. Then, make sure the plumbing and electrical wiring are already set up. After that, you can paint the wall and install fixtures such as ceiling fans, countertops, switches, chandeliers, cabinets, and other items before you bring in the appliances. Flooring should be the last thing to do. Meanwhile, there is no hard and fast rule when it comes to deciding whether to work on the interior or exterior first. After all, it depends on many variables such as the weather and the availability of the contractors. Should you decide to work on the interior first, make sure that you lay protective materials over the floors to prevent stains and damage. 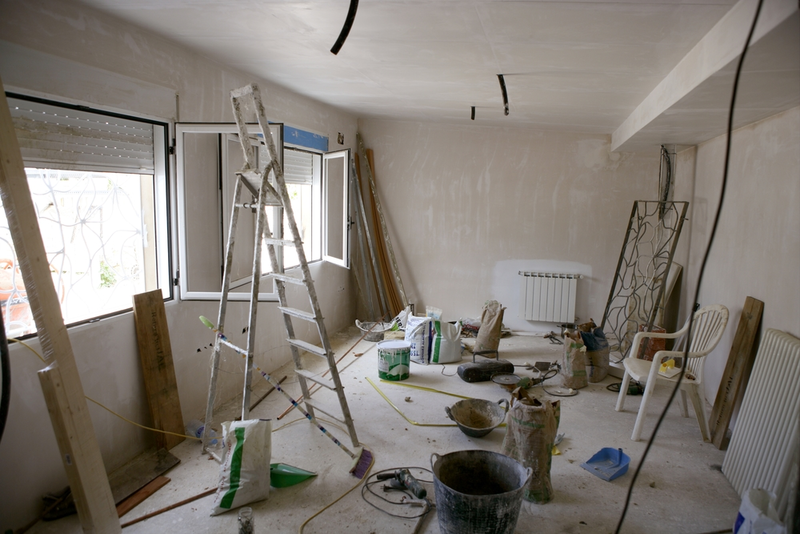 While rehabbing properties, make sure that you track your expenses so can stay within the budget. Nowadays, there is simple-to-use bookkeeping software that can help you and your accountant organize your finances. Take note that the success of any business relies on maintaining a healthy free cash flow, or the amount of cash and cash-equivalents that allows you to expand your business and serves as a buffer in the event of an economic downturn or any financial challenges. It is also important to draw up a realistic calendar. After all, there is a truth behind the aphorism “time is money.” Nonetheless, don’t schedule too tightly as doing so may lead to shoddy results and unnecessary stress not just to yourself but also to your team and contractors. You can market and sell your property through online listing sites, social media, websites, bandit signs, flyers, and open houses. While you can take the route of FBSO (for sale by owner), take note that MLS (multiple listing services) has its own advantages such as more exposure that helps you sell your property quicker. A realtor can also help you price the house right based on the market value of nearby properties with the same key features as yours. Take note that when your property languishes too long on the market, you end up paying for more maintenance cost, electricity bills, among others.